I again extend my heartfelt condolences to the family and many friends of Bob 'Dutchy' Holland who will be farewelled at Newcastle's Christ Church Cathedral this afternoon. Lake Macquarie has lost one of its finest men, but we were all very lucky to have known him. Here's a copy of the tribute to Dutchy I read in State Parliament on Thursday. It is with great sadness that I inform the House that Lake Macquarie lost one of its finest at the weekend with the passing Robert "Dutchy" Holland. His sporting achievements on the world stage were outshone only by his dedication to family and the local community. Well remembered for taking wickets for Australia in the mid-1980s cricket tests, locally Bob was perhaps better known for his unswerving community spirit and dedication to mentoring young people. Bob was diagnosed with brain cancer only six months ago, and succumbed to an associated illness last Sunday. His passing came just 48 hours after he attended a huge fundraiser organised in his honour by the Southern Lakes Cricket Club and the local community to help him meet the cost of an impending trial of a new treatment. 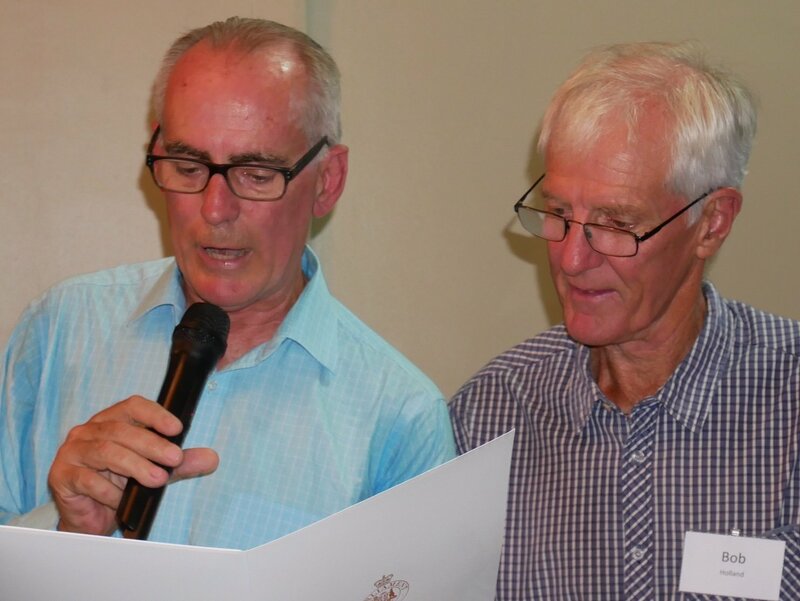 Bob will be greatly missed by many in the Lake Macquarie community which I know I represent in offering collective condolences to Bob's loving wife, Carolyn, his sons, Craig and Rohan, and his daughter, Naomi, and extended family, including his grandchildren. Bob was a remarkable person and a true gentleman. We were lucky to know him.